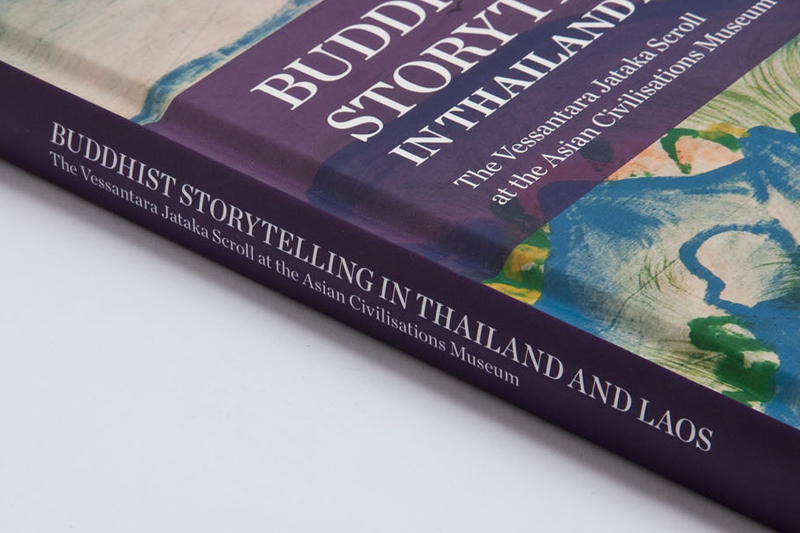 In conjunction with Devotion and Desire, an exhibition on cross cultural cart, the Asian Civilisations Museum published a book featuring a thirty-meter long scroll from their own collection. 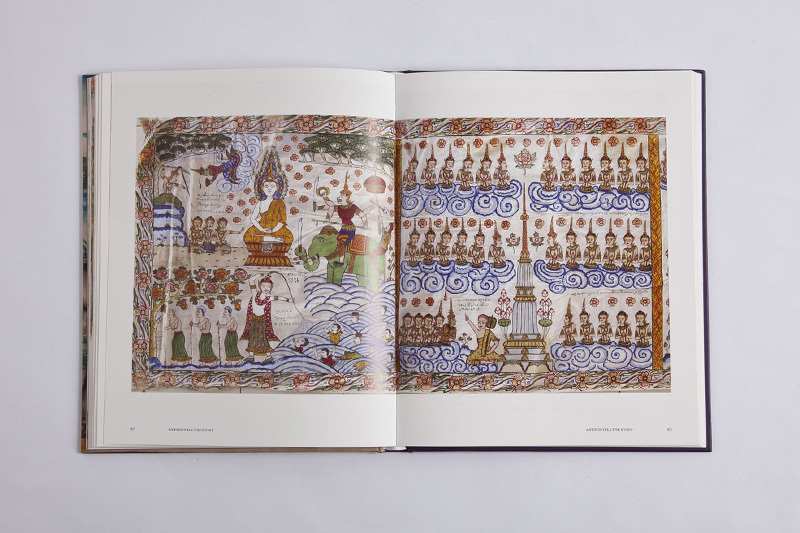 The scroll; a remarkable piece of folk art, depicts the Vessantara Jataka—the story of one of Buddha’s past lives. 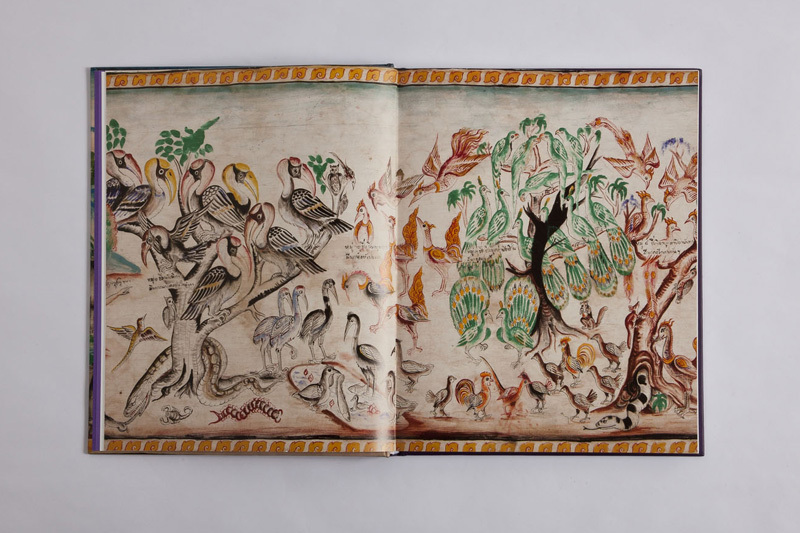 The scroll is incredibly detailed, and yet simplistic. 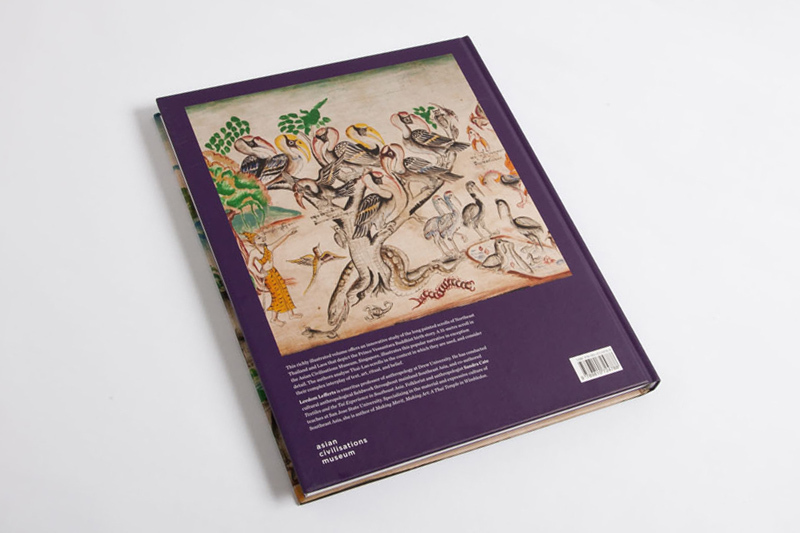 Alot of the characters are stenciled, and then coloured in with a small palette of colours. 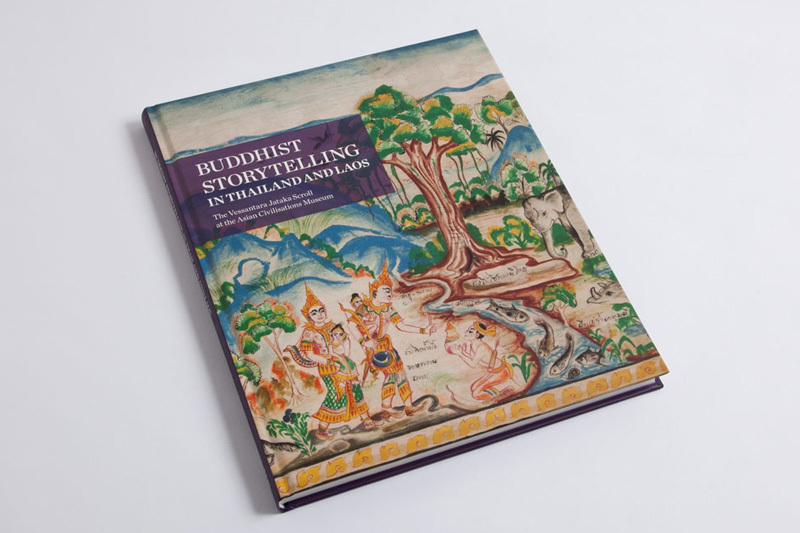 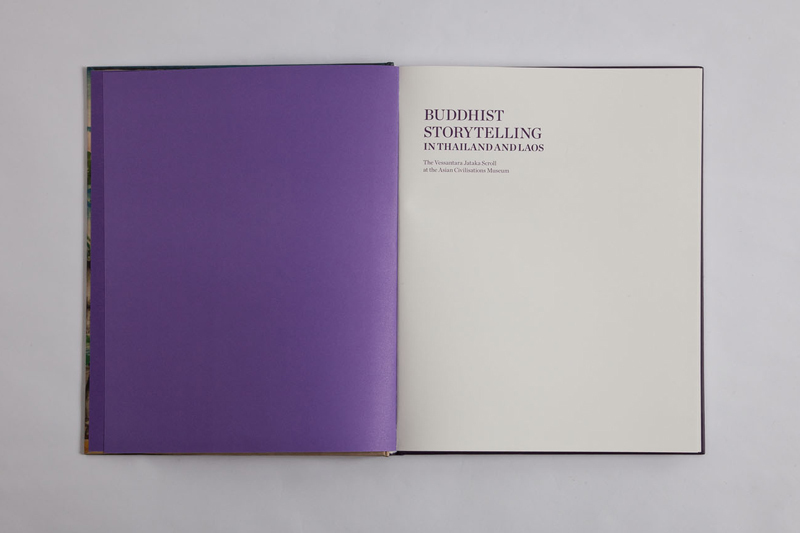 The book is in three main languages; English, Thai, and Thai-Lao, a dialect of Thai spoken in North East Thailand. 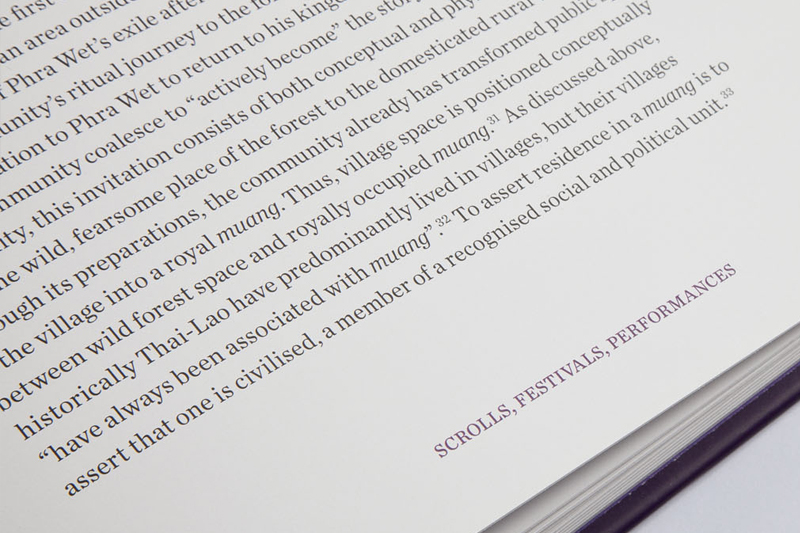 Various words and phrases were rendered in Pali, Sanskrit and Khmer, which was a typographic challenge we relished! 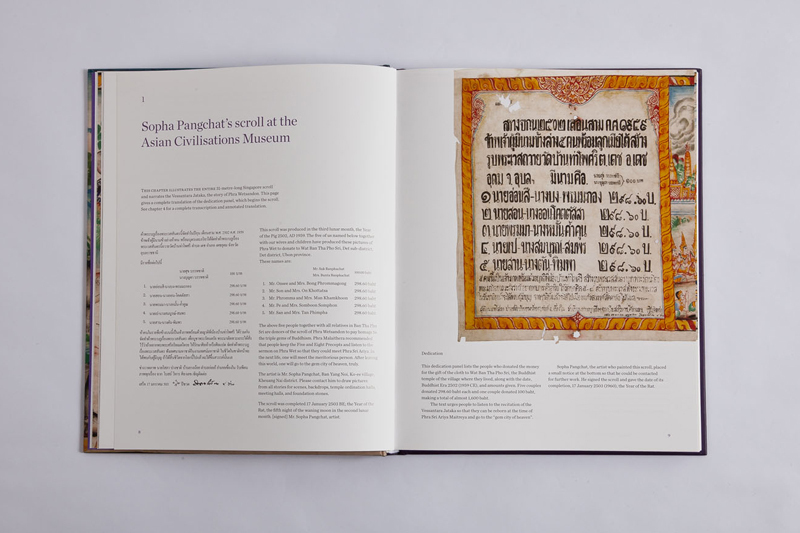 The first part of the book is devoted to showing the beauty and detail of the scroll. 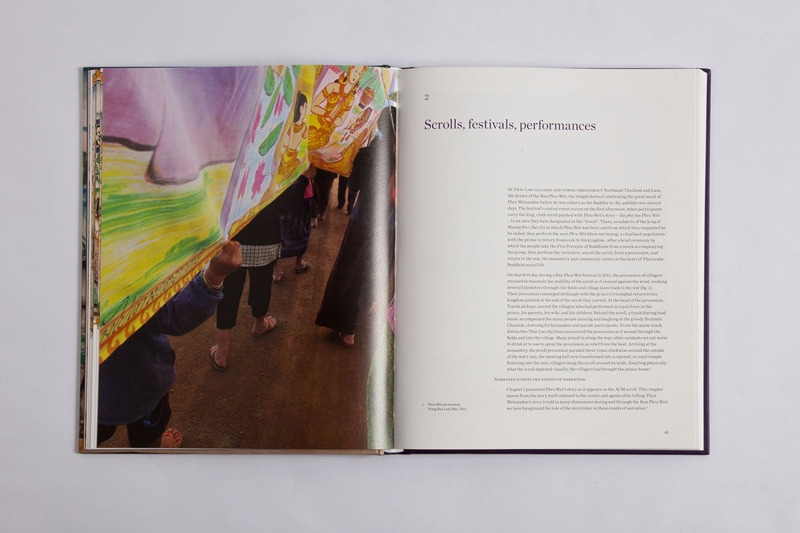 As the events of the story unfold, it is also told alongside the images. 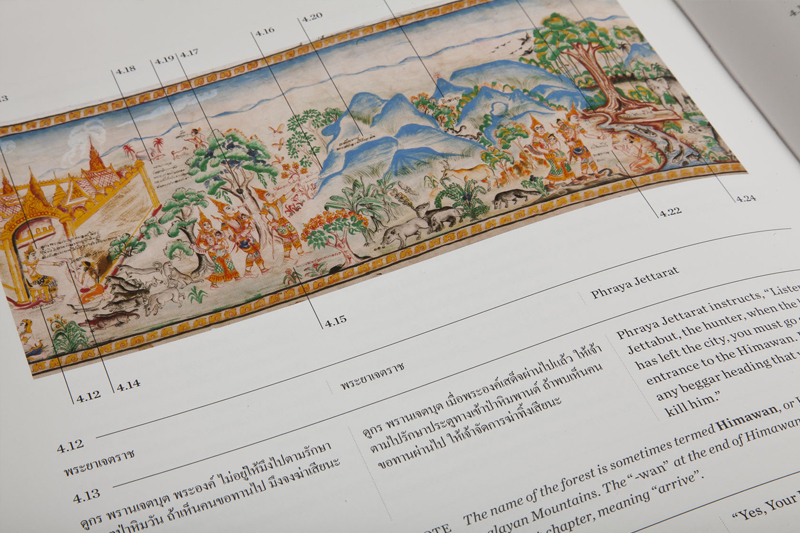 The scroll was originally used for religious festivities in North East Thailand. 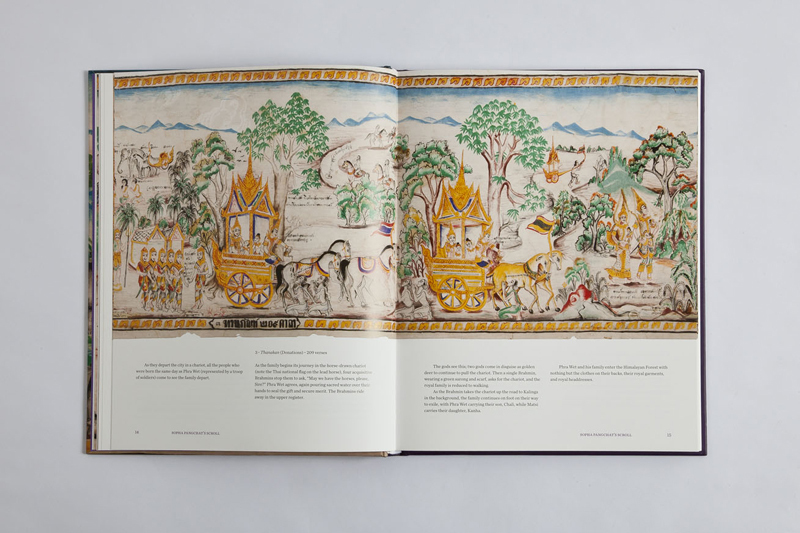 We worked with the museum and the author, Leedom Lefferts to bring the entirety of the scroll to life; exploring every detail. 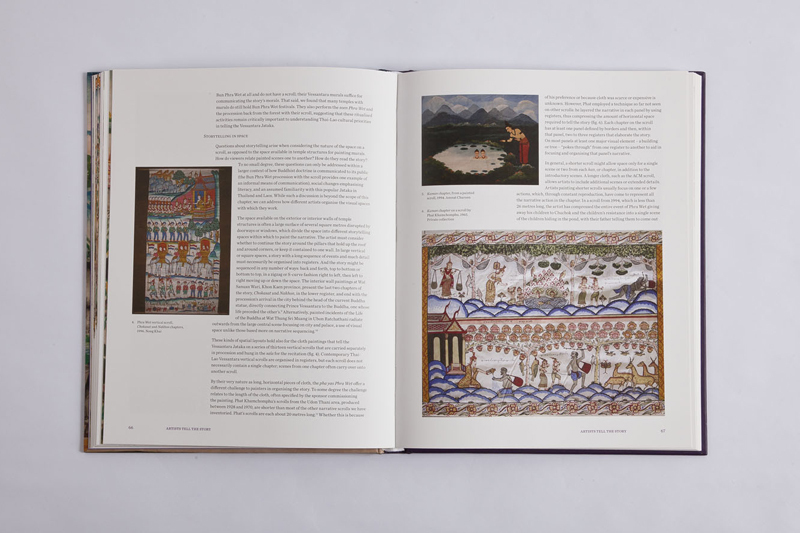 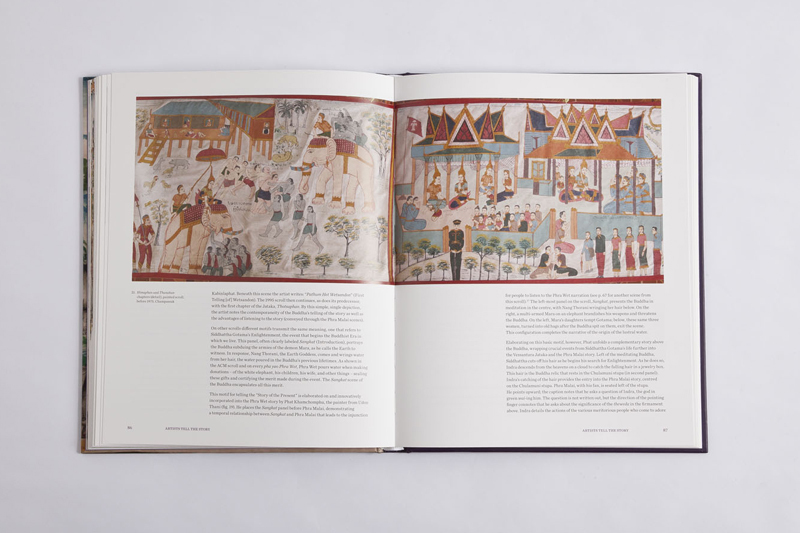 The vibrant images are accompanied by essays describing the history of the scroll, further elaboratates on the story depicted, and the way of life for the people of North East Thailand.